Being in Kashgar is unsettling. The first thing you notice are the sirens that are constantly going off. That's because there are police vans with riot screens driving up and down the main streets at around 20km an hour. As we drove by one, I could see the driver so bored that he was looking at his phone placed on the steering wheel while he was driving -- he was that slow. And then everywhere you go, from hotels to restaurants and even grocery stores and pharmacies have metal detectors you have to walk through, and some have X-ray machines for your bags, or they wand you before you can go in. Even at the hospital we had to first show our passports, and most of the time they just waved us through. But then there was one time where the staff at the gate were difficult and told us to go to the next door police station. We went over and explained to the young officer that we just wanted to go to the hospital to see my dad and showed him our passports. He couldn't read English and barked, "What is your name?" My mom asked, "Do you mean my husband's name or my name?" Your name! Don't play games with me? he barked again. I was so taken aback I couldn't help stopping myself from saying, "Are you serious?" Luckily he didn't take me too seriously, and we each gave him our Chinese names (which are not on our passports) and radioed to the hospital gate our names. We were then let through. Oh yes and we had to put our bags through X-ray machines again -- in every hospital building we went into. Those who drove into the hospital compound had their cars checked -- even under the hood by men in bullet-proof vests and helmets. Security is a serious business. The Chinese government has spent over 30 billion yuan in security last year, a jump of almost 20 percent from 2016. That's from the creation of these neighbourhood police stations and extra police hires as well as equipment. The other curious thing is that in restaurants, diners aren't given knives, though in our hotel we were, but they were very dull. One time my dad wanted to eat a peeled apple and we asked the Uyghur teenager who was helping us to bring a knife from home. He apologized that he could not carry one at all. We were very surprised and expressed our incredulity. He politely said with a smile, "It's different." We did find a plastic knife and smuggled it in, but it was challenging to peel the apple with it and I gave up after completing half of it. We stuck to grapes after that. 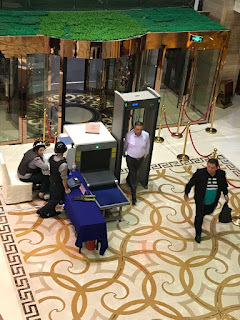 Uyghurs who have either a lot of interaction with foreigners or have a passport and traveled abroad are under a lot of scrutiny. 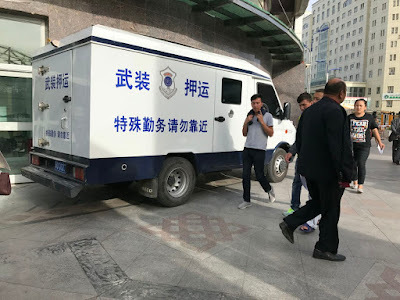 They can either be disappeared for days or weeks, or they are sent to "school", a room full of men and women from teens to people in their 60s, and they are forced to listen to lectures, learn Chinese, learn more about Chinese law, or propaganda for about two hours everyday. It is mandatory -- they cannot skip "school" even though they have to work at that time or were planning to be out of town. If not, the consequences could be harsh. 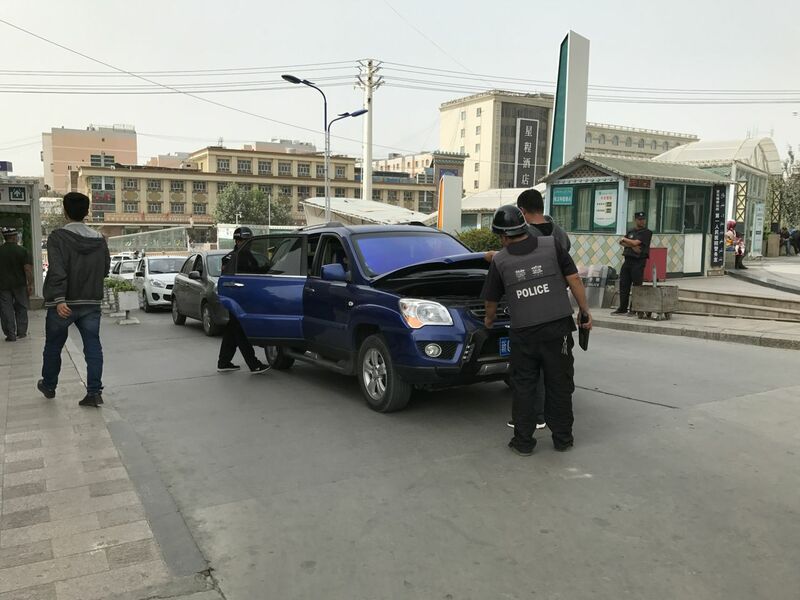 This repression against Uyghurs is tough. Mosques are not allowed to broadcast prayers, while men cannot have very long beards, and women cannot be completely covered. And as National Day approached, there were more police on the streets, probably part-time police officers who carried riot weapon gear like shields and batons and forks that were more of a deterrent than were actually used. The hospital was even under lock down from 11pm until morning. Is that really necessary? 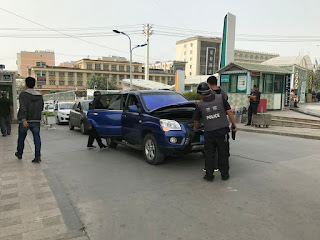 There were also more check-points on the roads; taxi drivers sometimes preferred to pick up Han Chinese customers because that meant they could easily pass the check-points than be scrutinized by the police. And by the way, the Uyghur taxi drivers would sometimes take an extra passenger if they were going the same direction as the first customer. Why not if they can make a bit more extra money? We only had one Han Chinese drive the whole time we were there. Meanwhile, the Uyghurs we met tried to carry on with life the best they could. Women dressed up to go to the hospital, as if they were going out for dinner to a nice restaurant, while some older men wore traditional woven caps. The Uyghurs we talked to were trying to deal with the situation with as much grace as they could under pressure. To me this was amazing, considering they know there is no way out -- it is near impossible to get a passport nowadays, let alone immigrate. Many people outside of Kashgar have no idea what is going on here because it's so remote. However, people need to know the situation here. If Hong Kong continues to irritate Beijing, the powers that be could easily punish Hong Kong and turn it into a police state like Kashgar. 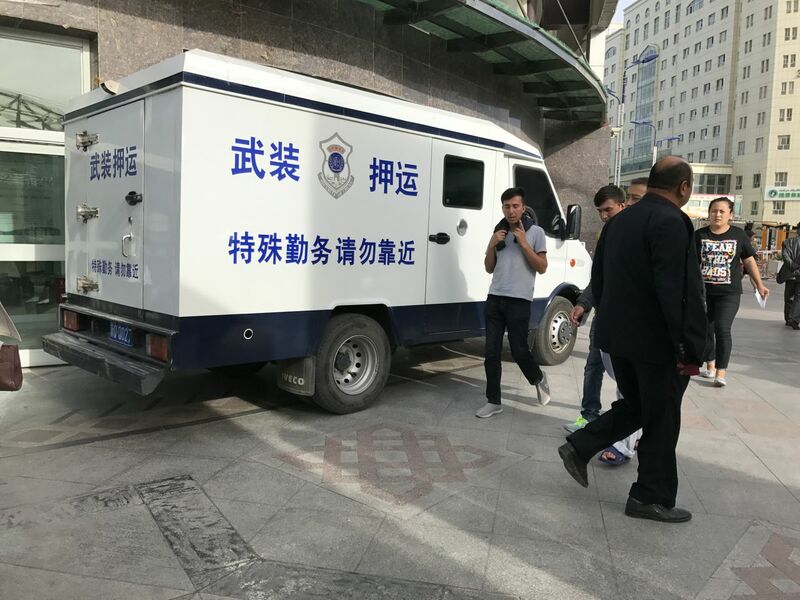 It is already happening in many major cities in China, with facial recognition software, security cameras everywhere and bags having to be scanned in every subway station. We can push back, but for how long and how much?